Bed and feed baled or loose material - wet or dry, round or rectangular bales. Configure your Tomahawk to suit your needs. The Tomahawk 4040, 5050 and 5050XLM Bale Processor models use blades to chop dry or wet material. With very wet material the chop length may be as low as 4cm, and dry material will be around 15cm long. Easy control of output by adjusting the speed of the drum rotation. 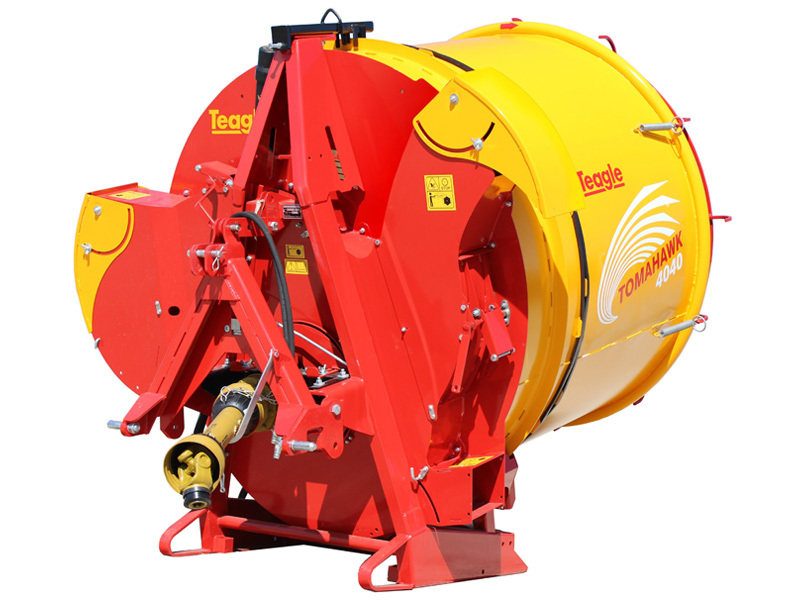 Suitable for bales of straw, hay and silage. 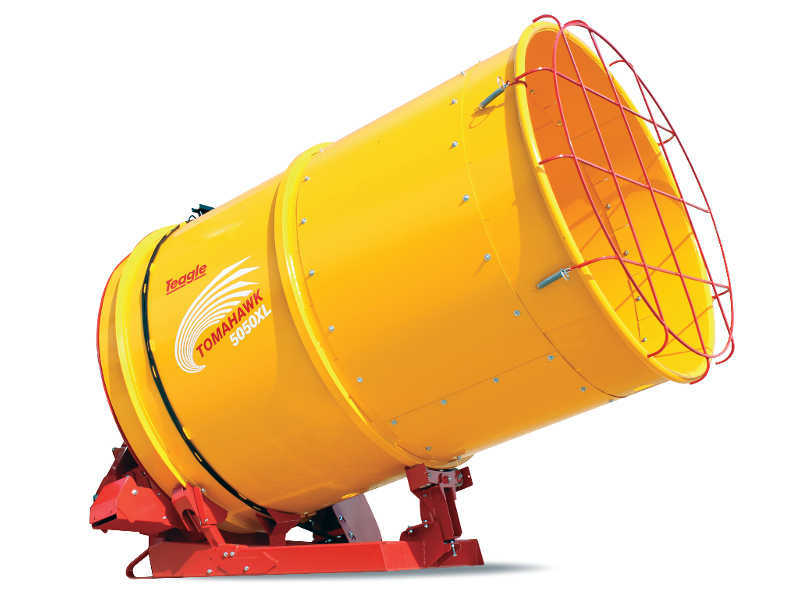 It will blow long straw up to 10-11 metres at 1000rpm. Long chop length is ideal for mulching fruit crops.